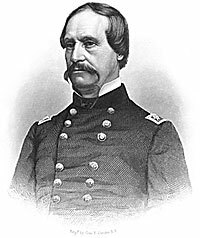 Historian Russell F. Weigley wrote: “As department commander, General Hunter proved to be more anti-slavery than the Lincoln administration intended, for Hunter almost immediately lost patience with one of the most fundamental problems of the experiment, the indeterminacy of the African Americans’ status.”8 Historian Margaret Leech noted: “The department was under martial law, and the white population had fled, abandoning their slaves. 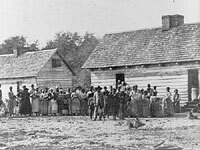 These thousands of blacks were cared for by the Government and by private philanthropy, and it was their freedom which Hunter, in all sincerity exceeding the powers of a military commander, proclaimed.”9 Hunter moved to deal with two problems simultaneously. 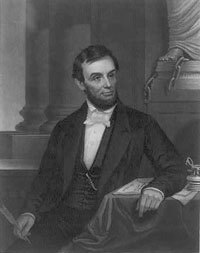 I, Abraham Lincoln, president of the United States, proclaim and declare, that the government of the United States, had no knowledge, information, or belief, of an intention on the part of General Hunter to issue such a proclamation; nor has it yet, any authentic information that the document is genuine. And further, that neither General Hunter, nor any other commander, or person, has been authorized by the Government of the United States, to make proclamations declaring the slaves of any State free; and that the supposed proclamation, now in question, whether genuine or false, is altogether void, so far as respects such declaration. I further make known that whether it be competent for me, as Commander-in-Chief of the Army and Navy, to declare the Slaves of any state or states, free and whether at any time, in any case, it shall have become a necessity indispensable to the maintainance [sic] of the government, to exercise such supposed power, are questions which, under my responsibility, I reserve to myself, and which I can not feel justified in leaving to the decision of commanders in the field. These are totally different questions from those of police regulations in armies and camps. Resolved, That the United States ought to co-operate with any State which may adopt a gradual abolishment of slavery, giving to such State pecuniary aid, to be used by such State in its discretion to compensate for the inconveniences, public and private, produced by such charge of system. Yesterdays papers brought the news of Gen. Hunters proclamation freeing the slaves in his Department. 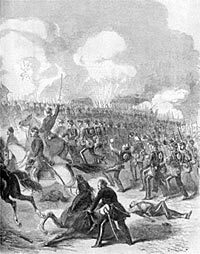 I am convinced it must and will come to this all over the Cotton states during the summer, and a month or two hence a proclamation like Hunters would be looked upon as the most rational thing in the world. At the present moment it is perhaps a little premature. The thing might have been practically done without being ostensibly proclaimed. At the same time I am persuaded, the people will readily acquiesce if you see fit to sustain Hunter in his act; and then the Administration must take its position with firmness and determination. Your personal influence upon public opinion is immense; you are perhaps not aware of the whole extent of your moral power. Thus, if you should see fit to justify and sustain the act as one commanded by local military necessity, there will not be a murmur against it a fortnight hence. 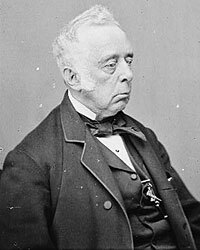 “The President has decided to rescind or modify Gen. [David] Hunter’s Order setting free all the slaves in his Military Department. It was his right to do so and we bow to his decision. We cannot doubt that Gen. Hunter judged wisely and acted nobly so far as the prosperity of the Union cause in his own District was concerned. We do not believe the President holds a different opinion. But it is his duty to survey the whole ground, to determine what is best not for three States only, but to insure the triumph of the Union cause everywhere. And from his decision there is no appeal. T. Harry Williams, Lincoln and the Radicals, p. 55 (Letter from David Hunter to Lyman Trumbull, December 9, 1861). T. Harry Williams, Lincoln and the Radicals, p. 138 (Letter from David Hunter to Edwin M. Stanton, January 29, 1862). Mark Grimsley, The Hard Hand of War, p. 127 (Letter from David Hunter to Edwin D. Stanton, January 29, 1862). Mark Grimsley, The Hard Hand of War, p. 127. T. Harry Williams, Lincoln and the Radicals, p. 137. Edward A. Miller, Jr., Lincoln’s Abolitionist General: The Biography of David Hunter, p. 97. Edward A. Miller, Jr., Lincoln’s Abolitionist General: The Biography of David Hunter, p. 98. Russell F. Weigley, A Great Civil War: A Military and Political History, 1861-1865, p. 167. Margaret Leech, Reveille in Washington, p. 247-248. Edward A. Miller, Jr., Lincoln’s Abolitionist General: The Biography of David Hunter, p. 99. Russell Frank Weigley, A Great Civil War: A Military and Political History, 1861-1865, p. 167 . Roy P. Basler, editor, The Collected Works of Abraham Lincoln, Volume V, p. 222 (May 9, 1862). Frederick J. Blue, Salmon P. Chase: A Life in Politics, p. 182. Mark Grimsley, The Hard Hand of War, p. 128. Roy P. Basler, editor, The Collected Works of Abraham Lincoln, Volume V, p. 222-223 (May 19, 1862). Ida Tarbell, Life of Abraham Lincoln, Volume II, p. 103. Abraham Lincoln Papers at the Library of Congress. Transcribed and Annotated by the Lincoln Studies Center, Knox College. Galesburg, Illinois. (Letter from Reverdy Johnson to Abraham Lincoln, May 16, 1862). Abraham Lincoln Papers at the Library of Congress. Transcribed and Annotated by the Lincoln Studies Center, Knox College. Galesburg, Illinois. (Letter from Carl Schurz to Abraham Lincoln, May 16, 1862). Abraham Lincoln Papers at the Library of Congress. Transcribed and Annotated by the Lincoln Studies Center, Knox College. Galesburg, Illinois. (Letter from Salmon P. Chase to Abraham Lincoln, May 16, 1862). Albert Bushnell Hart, Salmon Portland Chase, p. 263. Herbert Mitgang, editor, Abraham Lincoln: A Press Portrait, p. 293 (New York Tribune, May 20, 1862). T. Harry Williams, Lincoln and the Radicals, p. 138.